Jelgava is situated in Zemgale plain, which formed by the end of Ice age in the place of Baltic ice lake. Thus, one can say that 6-7 thousand years ago Jelgava was under the water. The oldest camp of wanderers, hunters and fishers, is found 8km to the South from Jelgava; it was a shore of the sea at that time. Gradually, as the sea sank, Zemgale plain, the river Lielupe, its affluents and marshes were forming. A tribe called “zemgaļi” (Semigalians or Zemgalians) came from South and settled here about 4 thousand years ago, also giving the name for this region. This tribe practised agriculture and farming, crafts and trade. They built the first fortified castle mounds. A harbour that is mentioned is chronicles might have been situated by Lielupe, near Jelgava. However, Tērvete, Mežotne and Dobele are mentioned as the administrative centres of that time. For the first time in written sources Jelgava is mentioned in the 13th century. At that time crusades, instituted by the pontiff took place all around the Latvia. In 1219 Zemgalians living in Mežotne accepted Christianity, but Zemgalians living in Tērvete launched war against bishop of Riga – Alberts and Livonian Order. Later, in 1265, Conrad fon Mendern, master of the Livonian order, according to the chronicles “ordered to build a castle on Lielupe, four miles up from Zemgalians, and they were not glad about it. The castle was named “Mitove””. This castle was an essential supporting point for Livonian order during the conquest of Zemgale. And later, when all the Zemgalian tribes were conquered, the castle served as an administrative centre and support base in war with Lithuania. Gradually, on the left bank of Lielupe a small living area was developing. A document from 1522 mentioned that this village had its own church. In November 28, 1561, in Vilnius, the last master of the Livonian order Gotthard Kettler signed capitulation agreement with the king of Poland and Lithuania Sigismund August, thus ending the Livonian war. By doing so, Gotthard Kettler received feudal rights for some parts of the lands in Zemgale and Latgale, formerly owned by the Livonian order. He also received the title of Duke for himself and his descendants. In March 5, 1562, this capitulation agreement was executed, Gotthard Kettler resigned from his post as the master of the Livonian order, and the Livonian order was secularised. Courland and Zemgale duchy (Ducatus Curlandiae et Semigalliae) was established. In 1566 the Duke chose Jelgava palace as his residence, and in 1568 he and his court moved to Jelgava. In 1576 there were 113 persons in the court, 42 of them were Latvians. As the Duke moved to Jelgava, craftsmen and tradesmen followed. Jelgava of that time was encompassed by woods and the majority of houses were built along two streets. There were around 80-90 permanent lawful residents and more than hundred inhabitants. Gotthard Kettler, being the patron of the town, gave rights of the city and coat of arms to Jelgava. At that time the coat of arms depicted crowned stag’s head on red background. Gotthard Kettler also has to be mentioned as a person who ordered renovation and construction of 70 Lutheran churches, 28 had to be open in Zemgale. Thus, two churches – Holy Trinity Church and Church of Saint Ann were built in Jelgava. Holy Trinity Church was the first newly constructed Lutheran church in whole Europe, since traditionally Lutherans used catholic churches at that time. To facilitate communication between German priests and Latvians, the first book of Latvian for Lutheran priests – “Enchiridion” was published. According to the provisions of the agreement, the throne could be inherited by male descendants, the duke had to admit the supremacy of the Lithuanian grand duchy, later – supremacy of Poland. The duke also had to participate in wars initiated by the Polish king and give 300 cavalrymen to the king for that matter. The times of Courland and Zemgale duchy are entwined by many events. Jelgava was affected by all the wars in which Polish kings took part. The most devastating war was between Poland and Sweden in the 17th century. Jelgava was destroyed several times; many citizens were slaughtered or pillaged. Consequences of this war were long-lasting, for Duke Friedrich, Wilhelm and even duke Jacob had to struggle with the results of the war. Duke Friedrich created and established the constitution of the Duchy – Statutes of Courland. This constitution was proclaimed in March 18, 1617, so it can be called one of the most ancient constitutions in Europe. The son of Duke Wilhelm, Jacob (1610-1682) is the most known representative from Dynasty of Kettlers. Despite the wars between the Poles and the Swedes, he did his best to enliven mercantile system and such policy during his reign from 1642 to 1682. He owned colonies in Gambia, Tobago, mines in Norway; he also opened many manufactures in Zemgale and Courland. In 1648 bastions and ramparts were built around Jelgava palace; boarders of Jelgava were fortified as well. Moreover, the territory of the city was surveyed and drinking water canal was built. In 1660, the first book printing house, managed by Michael Karnal was open. During the reign of Duke Jacob the population of Jelgava grew rapidly and by the 70-ties of the 17th century, there were already 5000 citizens. Yet frequent epidemics in different times have taken their toll, for instance in 1710, during the Great plague epidemic 1300 citizens died (almost 1/10 of the population). At the end of the 18th century Jelgava had about 10 000 citizens. Since Duke Jacob’s times Jelgava was not just a warehouse of goods – the city was an important centre for diplomacy that linked Western Europe and Russian empire in the East. Owing to geopolitical situation, the city has always been of interest to neighbouring countries – such great men as Peter I, Gustav Adolf, Karl XII and Alexander Suvorov have visited Jelgava both as conquerors and guests. French king Luis XVIII even lived in Jelgava palace for a while. In 1817 Kurzeme province was one of the first to abolish serfdom in the Russian Empire where the overall abolishment started only in 1861. This rapidly accelerated the growth of the city and industry. 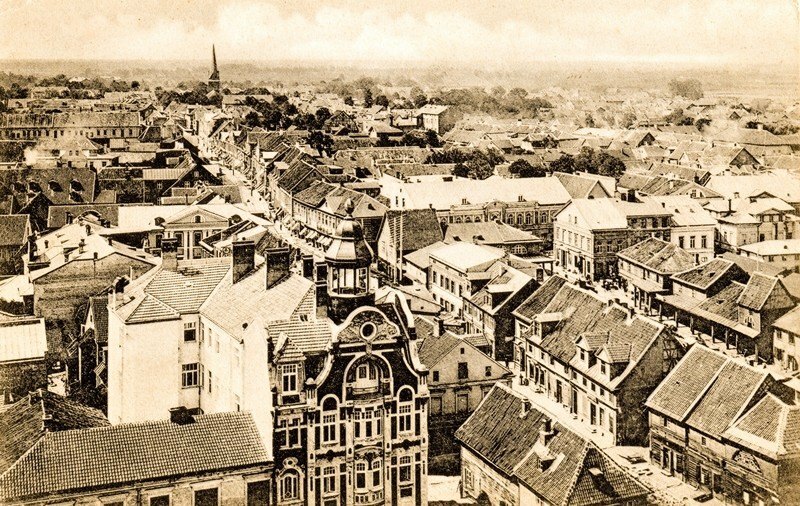 After Jelgava was connected to Riga by railroad in 1868 Jelgava became the fourth biggest centre of industry and trade in the territory of modern Latvia by the end of 19th century. There were 67 factories in the fields of textile, wood, brick, and food production, chemical and metal fabricating industries as well as polygraphy employing a total of 7020 citizens in 1913. 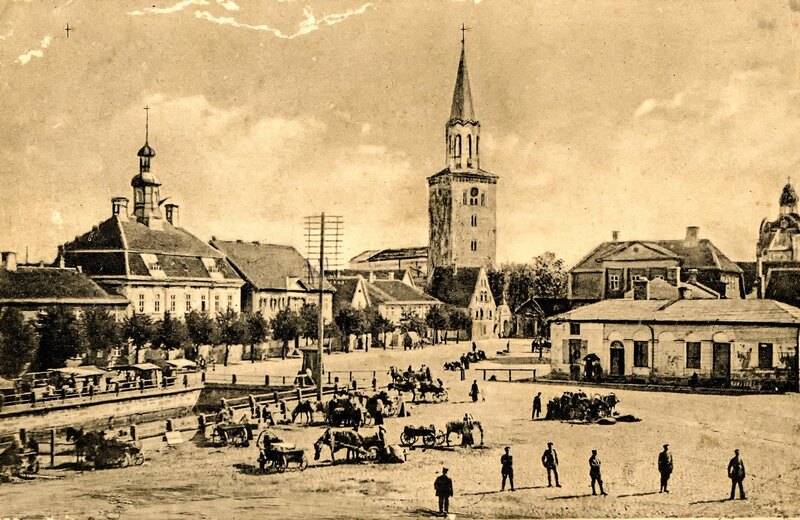 The population of Jelgava reached 30 000 by the end of 19th century.